Back row l-r : Jess Parkes, D Cox, Kendra Lowe, S Williams, R Edbrooke. 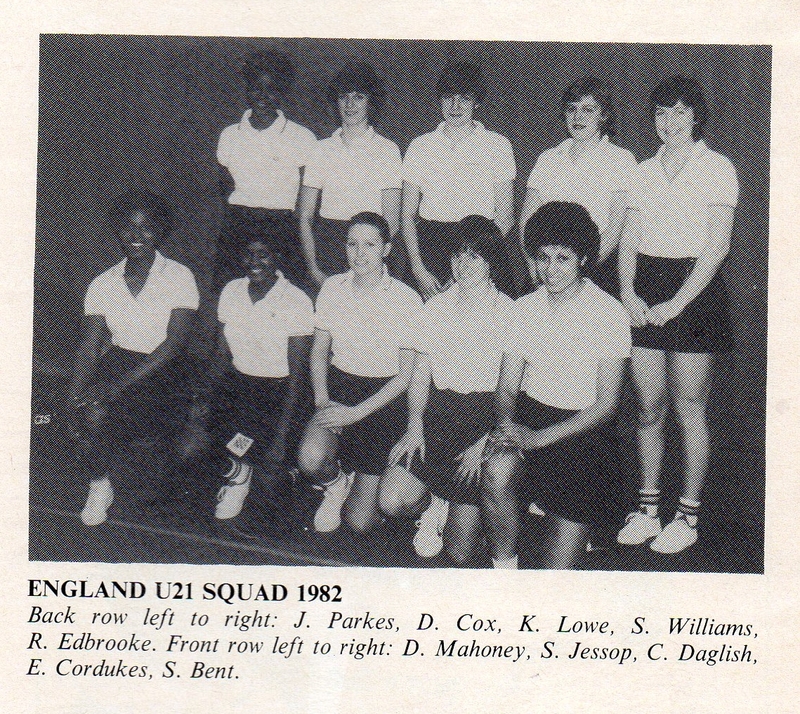 Front row l-r : D Mahiney, S Jessop, C Daglish, E Cordukes, S Bent. 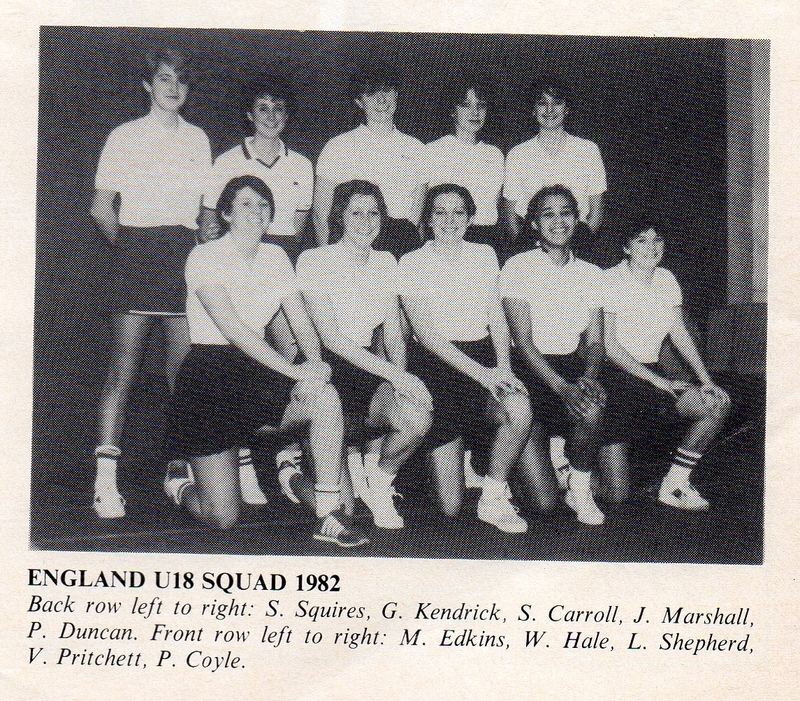 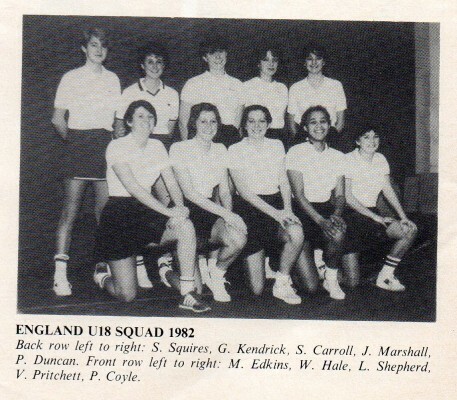 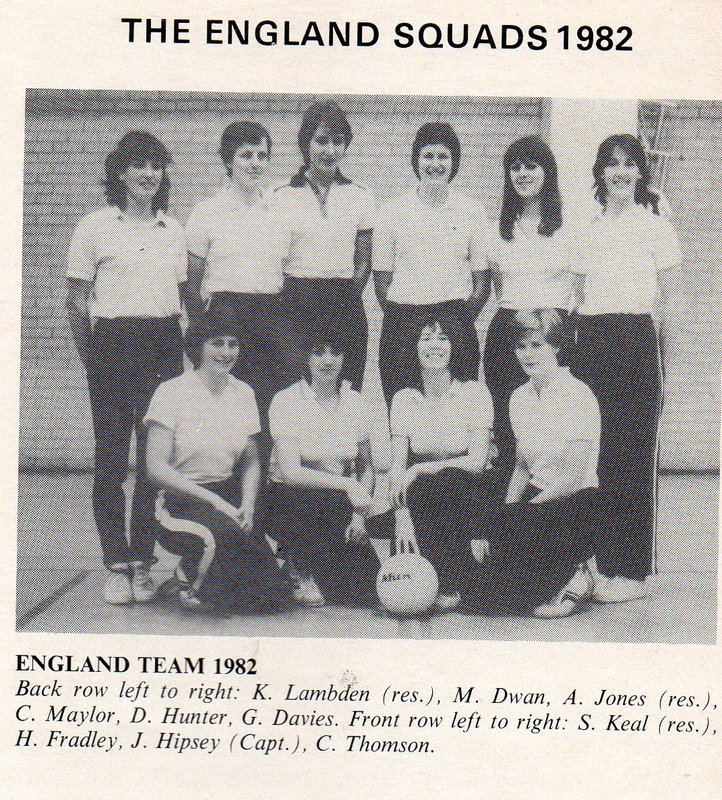 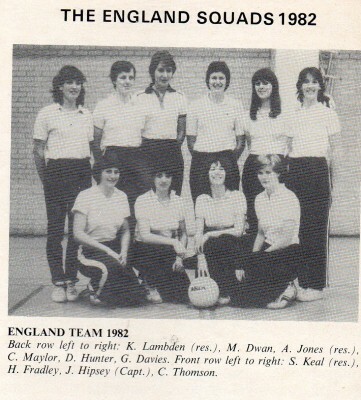 Three squads of 1982 England teams at Senior, Under 21 and Under 18.